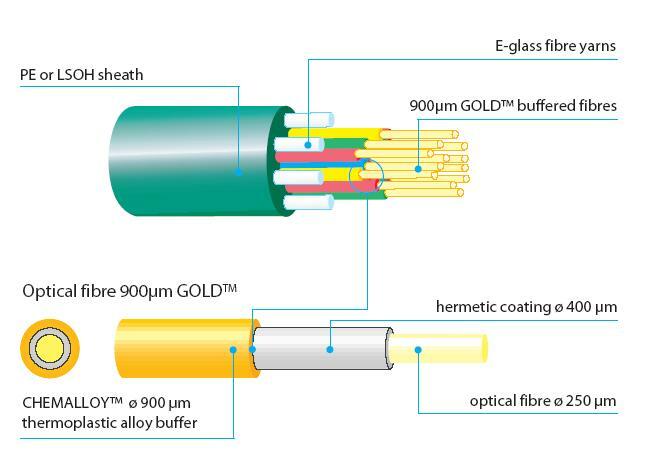 OCT has been the product leader in the optical cable industry for dry waterproof fibre cables, chemical resistant and non-metallic armoured cables since the early 90's. It is also the pioneer in high temperature flame retardant low smoke halogen free optical fibre cables. All such cables supplied by OCT meet IEC60332-1, IEC60332-3-24, IEC60754-1, IEC60754-2 and IEC61034-2, These tests were certified by Laboratoire Central des Industries Electriques (France), Warrington Fire Research Centre Ltd (UK), Building Research Establishment Ltd (UK) and PSB Corp (Singapore).